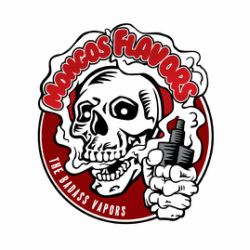 Feel free to email us for technical problems with our online store or website, questions and comments, or if you are interested in carrying Mongos Flavors e-liquid in your store and would like wholesale information. You may also use the form at the bottom of this page. We are available Monday through Friday from 9 to 5 Central Time (US & Canada). We are happy to offer advice and even walk you through placing your order online or we can place your order over the phone. Please Note! We are not a Retail Store set-up for shopping or browsing. All orders must be placed and paid for online or over the phone. If you need specific information not specified on our About Us or shipping and returns pages, or have issues with our website please email us at: mongosflavors@gmail.com. A support tech will respond within 24 hours. If you find something wrong with the site, please let us know so we can make your shopping experience here as easy as possible. If you have a success story, then please share it with us! We love getting feedback from our satisfied customers!